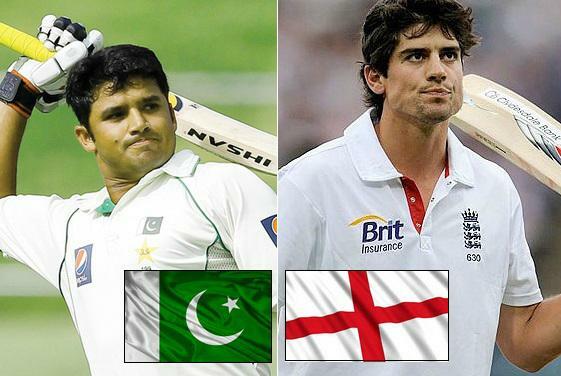 Next time you see Pakistan cricket team in action it will be against England in UAE where one and half month tour is scheduled including all three format matches starting from 13 October 2015 with the first of three test matches which will be followed by 4 ODI matches and 3 twenty 20 international and the tour will conclude on 30th november. Pakistan and Indian cricket board were in talks for the much anticipated series at the end of the year but its unclear whether both sides will meet this year and its likely that Pakistan will play India after the t20 world cup or later in 2016. But England has confirmed their tour of UAE to play against Pakistan. The full schedule of the tour can be found below. Pakistan has kind of turned things around after their 3-0 whitewash in the odi series against Banglades. Since than they have beaten Bangladesh in Test Series, Zimababwe in home odi/t20 series and Sri Lanka in both tests and ODI series. Pakistan will be favourites against England in the familiar conditions in UAE and last two times when England visited UAE for test series against Pakistan they were humiliated losing both series without winning a game. What Channels Will Broadcast The Series Live ? In Pakistan: PTV Sports and Tensports has the broadcasting rights for all Pakistan home series and PTV Sports will broadcast live in Pakistan in both Urdu and English commentary while TenSports will have live coverage in Pakistan, India, Afghanistan and Nepal. In UK: SkySports usually have live coverage of all England series both home and away and this series will be broadcasted on same SkySports 2 channel in United Kingdom including Scotland, Ireland and Wales.